The new MakerBot and Autodesk Tinkercad compatibility, a first-in-class connection between 3D design and 3D printing, is now available. Users can export models directly to My MakerBot, all without ever leaving their web browsers. This new connection brings two essential STEM learning tools together and empowers educators to easily equip students with critical design and problem-solving skills. Tinkercad will prompt you to send your model directly to My MakerBot, where it can be printed on any Cloud-connected MakerBot 3D printer. In My MakerBot, select your desired printer to print to, and adjust basic print settings. If you don’t see your printer, don’t worry! Simply connect the printer to the Cloud via WiFi or internet, then use MakerBot Print or the MakerBot Mobile app to add and authenticate your MakerBot 3D printer. 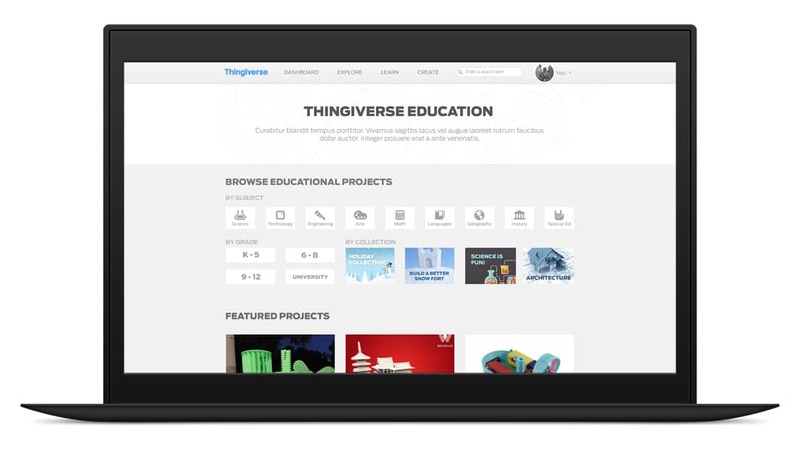 With this new simplified system, students can take their ideas from a lesson plan, to 3D design, all the way to 3D printing on any device, including Chromebooks. This new Tinkercad-MakerBot connection broadens access to 3D printing for classrooms and adds to a growing collection of MakerBot resources for educators, including the new MakerBot Educators Guidebook and the world’s lesson plan library and community, Thingiverse Education. Get started with the definitive guide to 3D printing in the classroom, including a crash course in 3D design and 3D printing, 9 classroom-ready lesson plans, and more! Explore the world's largest library of 3D printing lesson plans and connect with a community of educators to learn best practices. We put this collection of grants together to help schools and universities get funding to purchase 3D printers. Transform your classroom with 3D printing today. MakerBot offers the most complete solutions for educators, including extensive curriculum, the world's largest community of 3D printing educators, and industry leading support.